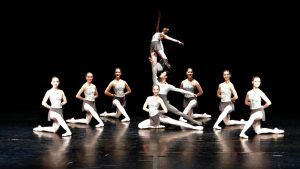 The Open Age Classical Group has gone through the 2018 Eisteddfod season undefeated, having competed against all the best ballet schools in Sydney and beyond. The Conlan College won the major Technique Award at the DanceLife Unite Competition, attended by over 60 dance schools in Sydney. In addition Hyo was offered an Apprentice contract with Ballet Manila at the grand old age of 15 years and 5 days! Kendall Harris was accepted into the Genee International Ballet Competition for 2018. Tianna Kooloos was accepted into the Joffrey Ballet Academy in Chicago in 2018. Ashleigh Cahill was accepted into the Pre-professional Program at Kibbutz Dance Company in 2018. Hyo Shimizu was Awarded the Isobel Anderson Award for the Most Outstanding Dancer across all levels at the 2017 Isobel Anderson Awards. Phoebe Anderssen was selected to attend the YAGP New York finals in both 2017 and 2018. The scholarships she was awarded as a result include, The Dutch National Academy Summer School 2018, a full scholarship to Princess Grace Academy in Monaco, The Royal Ballet School Summer Program 2017, short term scholarships to Houston Ballet Academy and Princess Grace Academy. Honey Black was awarded the Junior Scholarship at The IRBD Eisteddfod in 2018 and the Northern Beaches Eisteddfod in 2017. Honey Black was awarded second place in the Junior section of the Alana Haines competition in New Zealand 2017. Hyo Shimizu received the Audience Choice Award at the Alana Haines competition in New Zealand in 2017. Phoebe Anderssen won the St George Eisteddfod Junior Scholarship in 2016 and the Northern Beaches Eisteddfod Scholarship in 2017. Caitlin Halmarick was awarded her RAD Solo Seal in 2016. Maddie McKenzie was accepted into the Contemporary Program of The New Zealand Ballet School in 2016. Millie Garrick was accepted into theBallett-Akademie fur Musik and Theatre in Munich in 2016. Caitlin Halmarick was accepted into the Jacqueline Kennedy Onassis Ballet School in New York in 2016. She then moved to the New Zealand Ballet School in 2017. Miki Johnson won the Silver Medal at the 2014 Genee International Ballet Competition and has been accepted into the Joffrey Chicago Trainee program starting in September 2015. Klarissa Genussa gained a perfect score of 100% for her RAD Advanced 2 examination and was invited to finals week at the Royal Ballet School. Emma Antrobus was invited to finals week at The Royal Ballet School. Emma Antrobus, Hannah Conlon and Lotte James have been accepted into the Ballett-Akademie fur Musik and Theatre in Munich, all starting in September 2015. Millie Garrick and Lotte James have been accepted into the Royal Ballet School Summer School for 2015. Sophie Kerr is on the Priority Waitlist for the Summer School and both Caitlin Halmarick and Brianna Kerr have been accepted onto the Waitlist. Emily Thompson has been selected to attend Summer Intensive Programs at The American Ballet Theatre, The Atlanta Ballet School and the Joffrey Chicago Ballet School. Lotte James was accepted into Level 5 of The Australian Ballet School. Claire Wallace completed her first year of her RAD Certificate of Ballet Teaching Studies whilst still a full time student at The Conlan College. Hyo Shimizu won McDonalds Eisteddfod Boys Dance Championship, and was runner up in the Wenkart Foundation Junior Ballet Championship. Isabel Gunning won the 10 and under restricted demi-character sections and was runner up in the 10 and under restricted classical section at Northern Beaches Eisteddfod. Mr Jacques Marsa from the Paris Opera Ballet has awarded a scholarship for Phoebe Anderssen to attend the Petipa International Ballet Competition in Quebec in May 2015, and has offered his personal recommendation for her to apply to the John Cranko Schule in Stuttgart, The ESDC Rosella Hightower Ballet School in Cannes or the Brussels International Ballet School. Hyo Shimizu and Phoebe Anderssen performed with The Australian Ballet Company in the 2013 Sydney season of Don Quixote. Sophie Kerr was selected to perform with the Australian Ballet Company’s Sydney season of La Bayadere in 2014. Hyo Shimizu and Phoebe Anderssen were selected to dance professional children’s roles with The Australian Ballet Company’s Sydney season of The Nutcracker in 2014. Phoebe Anderssen has been selected to perform with The Australian Ballet Company’s Sydney season of Graeme Murphy’s Swan Lake in 2015. 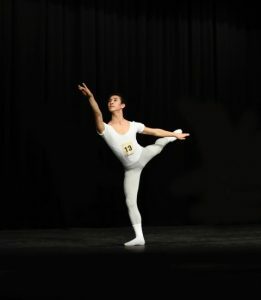 The Conlan College’s 14 and Under Classical Ballet Group won the prestigious Dance of Champions at the McDonald’s Sydney Eisteddfod in 2013.